Yesterday I looked at my Instagram profile and realized the last 3 pictures I shared were desserts! If you are anything like me, New Year’s is a time to clean up your diet after splurging during the holidays. Today I’m sharing a healthy smoothie recipe that tastes like a dessert… my Chocolate Covered Strawberry Smoothie! 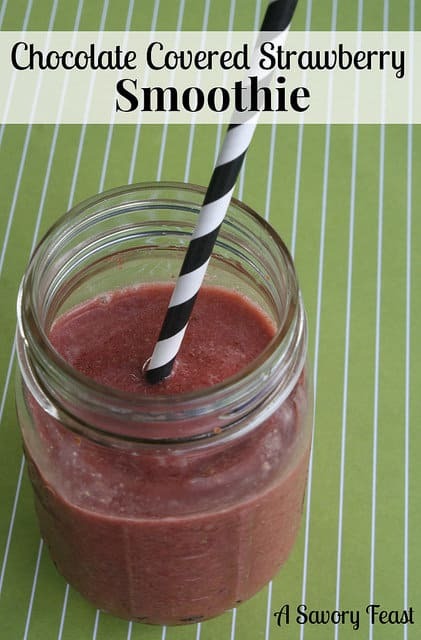 Smoothies are a great idea for a healthy snack or breakfast. If you wish there was an easier way to make them before you rush out the door, I’ve got a solution for you! 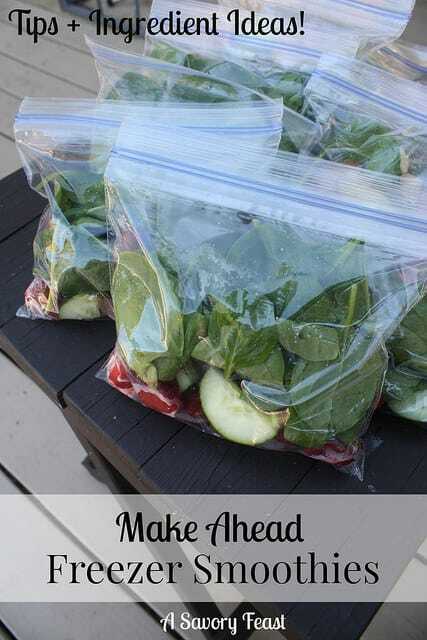 I’m sharing some easy tips for putting together freezer smoothie packs, plus a list of ingredient ideas. 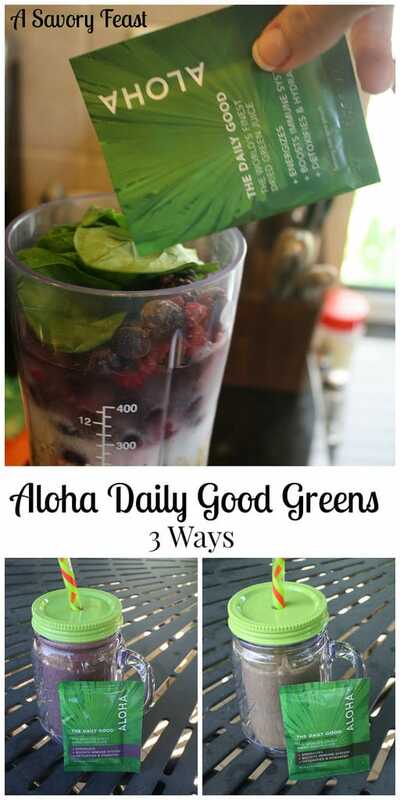 Are you looking for an easy way to add more green to your diet? I found a delicious powder that can be mixed with water, added to your favorite salad, or blended with a smoothie. I’m sharing my experience trying Aloha’s The Daily Good packets for a week.